Seahorses is a small charming community within the Freshwater Village on the Isle of Wight. 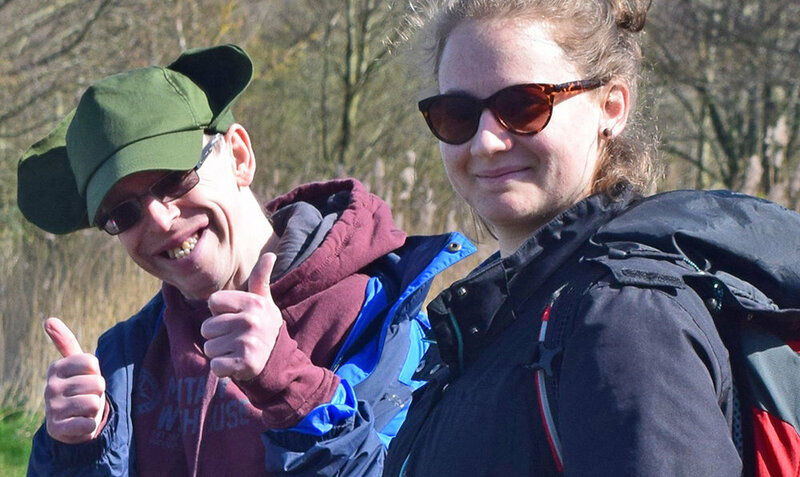 Seahorses offers adults with a learning disability (known as Companions) the ability to live, contribute and partake in a mutually supportive environment, where there are opportunities for meaningful work suited to each individual’s needs, interests and choice. Companions participate fully to the “Seahorses” community and will contribute, as far as they are able, to the successful running of the house, and the community as a whole. This brings about a common aim and a pride in the work, and, therefore, feeling really needed and valued. We enjoy the simple life that the small village of Freshwater offers and feel privileged to have the sea on our doorstep. However, everyone also enjoys going out and meeting new people, there are lots of opportunities for joining swimming clubs, maybe volunteering in a local charity shop or going to Zumba at the local Leisure centre. Seahorses is currently home to five companions and provides day placement opportunities to people with or without learning disabilities in its workshops. Seahorses Location was registered by CQC in December 2016 and run by the Lantern Community. Please see CQC’s website for further information. That does not mean forever, but for now, I will move on. So I want to talk a bit about how it was being a co-worker at Seahorses: First, a very big thank you for these wonderful six months! It was such a good time and I really enjoyed sharing life and work with you in the community. Working with companions in the workshops gave me some new skills. Like in the gardening, I learned how to do proper weeding and how to plan salad and other vegetables. I still do not have a green finger, but at least I am now able to not kill plants, which is amazing! Working in the B&B gave me the skill to iron and fold bed sheets with stretch on the corners properly, so that the guests would be satisfied. My favourite was art. I love doing glass mosaics with Anne, Dennis and Ian. It is so relaxing, almost like meditation and I love the feeling of creating something. The big fish-piece we made together became so gorgeous after months of filigree work. I also enjoyed cooking with Dennis and having meals with all of you, going swimming on a Sunday, doing seasonal craft in August, hanging around or watching Emmerdale and Coronation Street. And of course, not to forget the Walk the Wight Charity Walk, where Dennis, Richard and myself walked 14 miles. Well done guys and good luck for next year! Dennis’s jokes, Richard’s news updates, and passion for aircrafts and ships, Anne’s great piano skills, Andy’s catching laugh, Ian’s groovy dance moves, little Richard’s head banging and David’s standard compliment for being the best support worker/ cook on the Isle of Wight, will make me laugh each time I think of you.